In a 4-3 decision issued today in Robinson Township, et al. v. Commonwealth of Pennsylvania (284 MD 2012), the Commonwealth Court struck down as unconstitutional Pennsylvania's "Act 13", a law that provided that natural gas well drilling, waste pits and pipelines be allowed in every zoning district, including residential districts. In its 54-page opinion, the Court stated: Because the changes required by [the law, at 58 Pa. C.S. §3304] do not serve the police power purpose of the local zoning ordinances, relating to consistent and compatible uses in the enumerated districts of a comprehensive zoning plan, any action by the local municipality required by the provisions of Act 13 would violate substantive due process as not in furtherance of its zoning police power. Consequently, the Commonwealth’s preliminary objections to Counts I, II and III are overruled. Because 58 Pa. C.S. §3304 requires all oil and gas operations in all zoning districts, including residential districts, as a matter of law, we hold that 58 Pa. C.S. §3304 violates substantive due process because it allows incompatible uses in zoning districts and does not protect the interests of neighboring property owners from harm, alters the character of the neighborhood, and makes irrational classifications. Accordingly we grant Petitioners’ Motion for Summary Relief, declare 58 Pa C.S. §3304 unconstitutional and null and void, and permanently enjoin the Commonwealth from enforcing it. This decision may have impacts which go beyond natural gas drilling. In particular, other statutory provisions purport to require municipalities to allow timbering in every municipal zoning district. We'll offer some further thoughts on the implications of this decision in a future blog. In the meantime, those interested in reading the opinion can find it on the Pennsylvania Commonwealth Court's website here. The New York Times' exposé of the problems with natural gas/hydraulic fracturing continues with an illuminating article, "Learning Too Late of the Perils in Gas Well Leases." As the article says, "Americans have signed millions of leases allowing companies to drill for oil and natural gas on their land in recent years. But some of these landowners — often in rural areas, and eager for quick payouts — are finding out too late what is, and what is not, in the fine print." While some landowners have been paid significant sums under these leases, others are discovering they are paying a costly price for "permitting industrial activity in their backyard." Problems caused by the fine print in such leases can include: (1) the refusal by the gas company to compensate for damages to water supplies, livestock or crops; (2) noise and light pollution, 24 hours/7 days a week; (3) losing control over the use of the property, as most leases grant gas companies broad rights to determine where they can cut down trees, store chemicals, build roads and drill wells; (4) industrial waste disposal on the property; (5) enduring indefinite extensions without additional landowner approval. Another article in the series, "Rush to Drill for Natural Gas Creates Conflicts With Mortgages" , describes the mortgage problems that such leases can create. Some banks refuse to issue mortgages on properties subject to these leases. Many mortgages require permission from the lender before they sign a lease; signing without permission can put a homeowner in instant default. Many gas well drilling leases will permit the gas company to operate in ways that violate rules in the mortgage. An archive of more than 1,000 Pennsylvania gas leases can be viewed online on the New York Times website here. The archive can be used to compare lease terms and evaluate costs and benefits. An archive of documents relating to the problems with mortgages caused by gas leases is available here. According to John Quigley, former Secretary of Pennsylvania's Department of Conservation and Natural Resources, "at least seven million acres -- 25 percent of the state’s land area -- has been leased for drilling. About 4,000 Marcellus wells have been drilled in Pennsylvania so far, and over the next several decades, tens of thousands -- maybe hundreds of thousands -- of wells will be drilled." Landowners who have signed -- or who are asked to sign -- natural gas well drilling leases should be aware of these potential problems, and have the leases and other real estate documents reviewed by counsel. 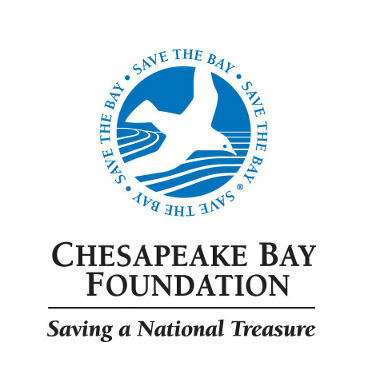 The Chesapeake Bay Foundation (CBF) and the Pennsylvania Environmental Foundation (PEC) have submitted a legislative proposal to the Corbett administration and state lawmakers "designed to help ensure safe and responsible Marcellus Shale drilling and gas extraction in Pennsylvania." The proposal sets forth detailed amendments to the Pennsylvania Oil and Gas Act to confer additional authority to regulate and manage deep shale and unconventional drilling techniques that were not contemplated when the law was enacted. The proposal was provided to Governor Corbett’s Marcellus Shale Commission and members of the Pennsylvania General Assembly. The proposed amendments are based on the findings of a PEC report issued last year called “Developing the Marcellus Shale” which outline a series of environmental policy and planning recommendations for unconventional shale gas development. The PEC/CBF press release states: "These amendments are aimed at restoring public confidence in the industry’s ability and commitment to responsible drilling and environmental compliance. The proposal includes 50 specific amendments to the Act which reform the permit process to allow for greater stakeholder input and set clear environmental protection standards for the hydraulic fracturing process and the infrastructure that should be required for shale gas extraction." The organizations propose to split the gas well drilling permit process into two phases that require enhanced collection and review of site-specific data prior to approval. The proposal also calls for a number of tighter restrictions in the Pennsylvania Oil and Gas Act. A copy of the press release can be found here. A PDF of the complete, detailed legislative proposal is here.